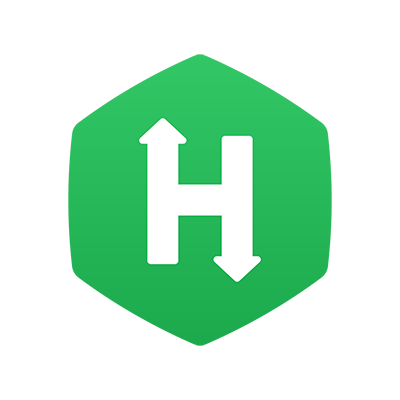 HackerRank for Work enables Recruiters to invite Candidates to take a Test. Test invites can be sent to Candidates through an email containing the link to access the Test and other details. You can customize your email invites and save them in different formats, known as Templates. Refer Using a Custom Email Template for more information. Note: You can invite a Candidate only if you own a Recruiter license. Hiring Managers need to ask their Recruiters to send invitations to the Candidates. You must have created and published the Test for which you want to invite Candidates. Add the introduction and description in the body of the email, and also edit the email subject as required. Use the necessary formatting options available in the editor. You can also save the email format as a Template, which can be reused later. Add the email addresses of the Candidates whom you want to invite. Set an expiry date for the invite, and set reminders for Candidates if necessary. 1. Navigate to Tests. The Invite icon is present on the extreme right of every Test as shown below. 2. Click Invite for the Test for which you want to send email invites. The ‘Send Test Invites’ page is displayed with the email editor using which you can customize the invite and configure necessary settings. These settings are specific to every email invite. Edit and customize the email subject. By default, the Subject field contains the name of the Test. Type a custom message in the email body. You can use the text formatting options in the editor to customize your message. Formatting such as bullets, numbering, image, etc. can be included. You can save the email message as a Template, or use an existing Template for the email invite. Refer: Using a Custom Email Template for more information about creating new Templates and using them. 4. Click the sign to add placeholders for Candidate and Recruiter names in the email message. When the email invite is sent, the placeholder for Candidate Name will include the name of the Candidate if it is present in the 'To' address field or in the CSV file being used to bulk upload email addresses. Example: If the To address field contains the Candidate name and email address as ‘Evan Brown <evanbrown@gmail.com>’, when the email is sent, the placeholder for Candidate name will display “Evan Brown”. Assuming you are the Recruiter, the placeholder for Recruiter Name will display your full name registered with your HackerRank account. 5. You can include URLs in the email invite by clicking on the Link icon. 6. The Add Link dialog box is displayed. In the Text Display field, specify a display name for the URL, and in the URL field, specify the URL to link. 7. Click Upload document to upload a document link. When Candidates click the link in the invite email, the uploaded document will be displayed. 9. Select the Expiry option to set the time duration for which the Test invite will be active. After the duration finishes, the Test invite expires, and Candidates will no longer be able to take the Test. 10. You can also click ‘Send Reminders’ to send reminders to Candidates to take up the Test before it expires. When you a set a reminder for the invite, an email will be automatically sent at the specified time to remind the Candidate(s) about the Test. For detailed information about configuring the Test invite expiry, reminders and other settings, refer: Customizing Test Invite Email Settings. 11. Finally, click Send to send the invite. In a scenario where you want to send a Test email invite to a large number of Candidates, you can upload a CSV file containing the email addresses of all the Candidates. 1. Click the Upload CSV icon to upload a CSV (Comma Separated Value) file containing all the email addresses. 2. You can click on Download to see the sample format of the CSV file. 3. Click Upload CSV. Select the CSV file containing the email addresses and names of all the Candidates you want to invite to the Test. Note: Only files in CSV formats are acceptable. If you have created a file with email addresses (and names) in other formats, you must save that file in the CSV format and then upload it to our platform. 4. After uploading the CSV file, click Send. The invite is sent to all the Candidates whose email address is listed in your CSV file. Note: When inviting multiple Candidates, a Candidate will not be able to see the other Candidates being invited to take the Test. Although you are inviting multiple Candidates, every Candidate will receive an individual invite and other Candidates will not be cc'd on the emails. There are often cases where Candidates are unable to complete a Test due to a power outage or loss of connectivity. In such cases, if you like Candidates to retake the Test, you can send them another invite for the same Test without deleting the previous reports of invites and attempts. All attempts of Candidates will be stored and you can view the report for each Test. Note:The Candidate must have completed the Test, in order for them to be eligible for a re-invite. A re-invite can't be sent if a Test attempt is still in progress. Refer: Reinviting Candidates to a Test for more information.